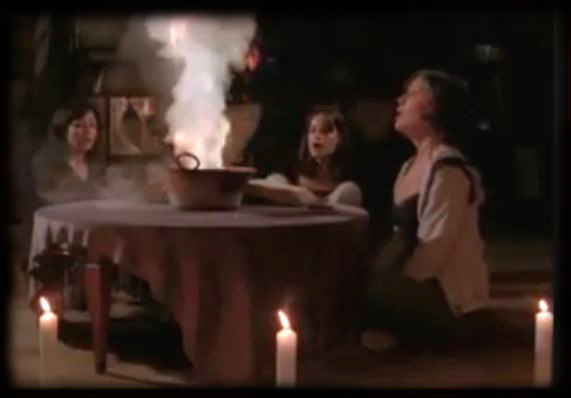 This one is the same as on the TV show which you can see from the picture to the left. 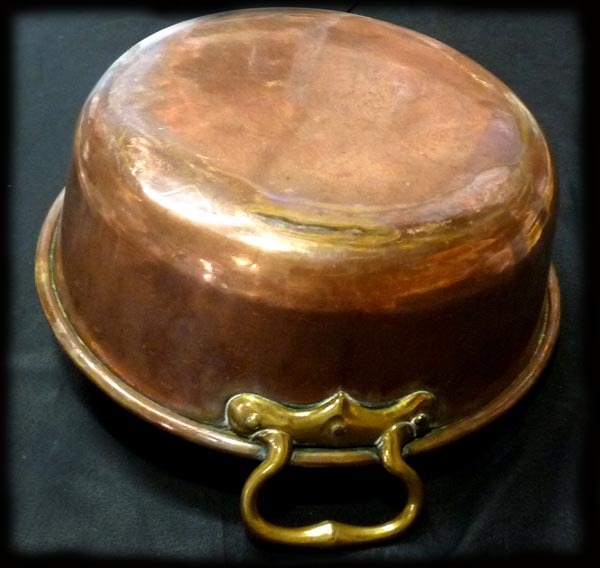 It is an authentic French provencial copper pan, hand made and riveted. 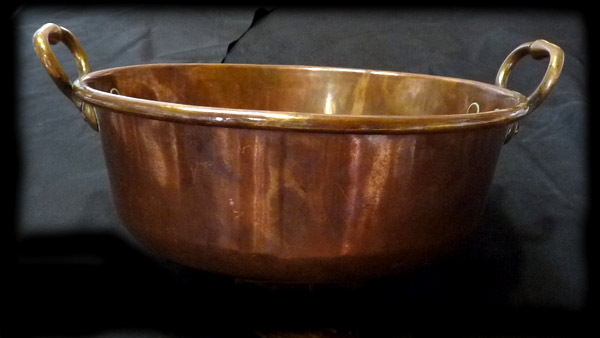 The rim has a 10mm brass rod that the copper is beaten over to form a nice wide lip. 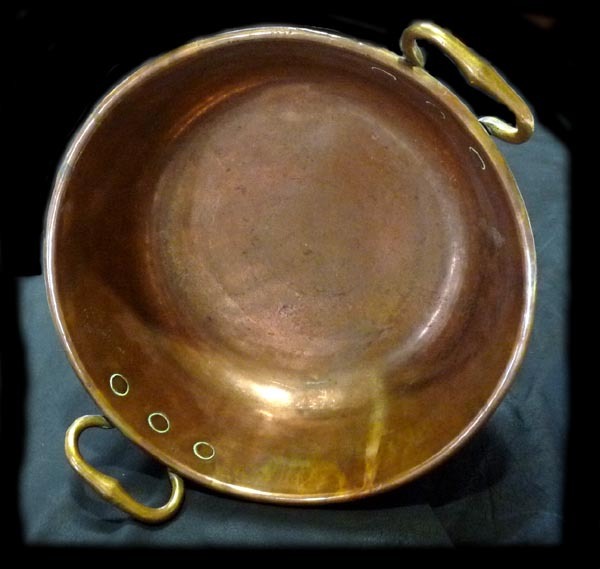 Solid thick copper with solid brass handles with hand beaten rivets. very solid construction. Over 100 years old. 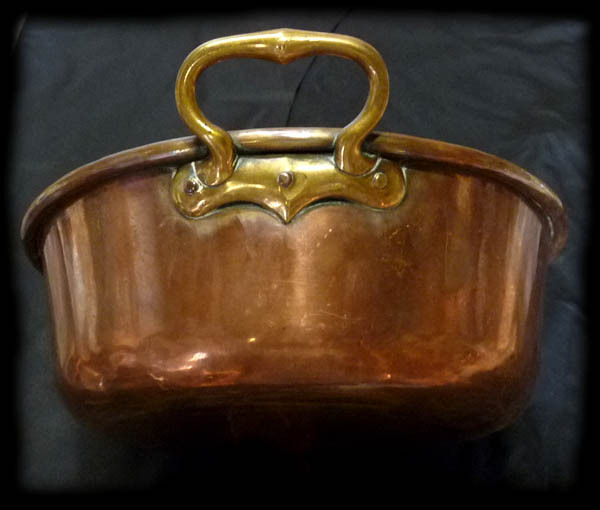 minor scratches as it is old but not holes or dints and is in excellent condition. Solid flat base. 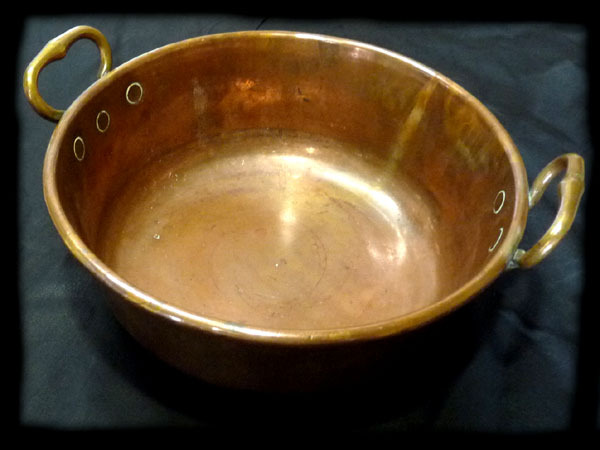 You can use this cauldron for heating and mixing any potions as it is a traditional witches utensil or use it in your kitcen as it is an excellent solid copper basin..
We will email receipt once deposit or payment is received and confirm delivery details.